Welcome, and thanks for visiting our website. Billboards2Go.com is a northeast-coast based mobile billboard media company that has been in business (with the same owners) for over 18 years. 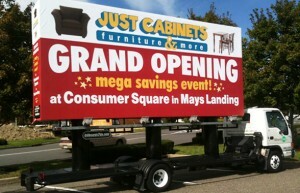 This site explains how to advertise your Brand, Business, or Special Event with our huge Mobile Billboard trucks. 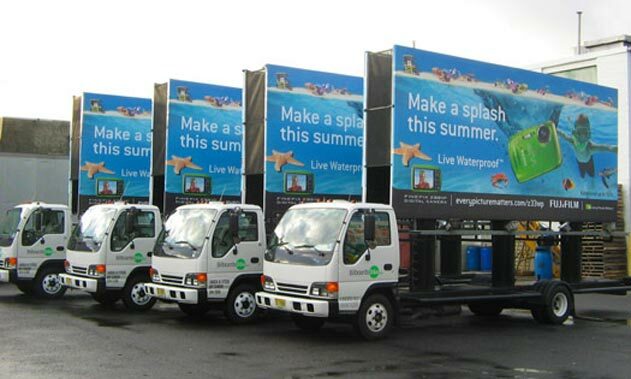 Mobile Billboards are specifically built and dedicated sign vehicles that display a commercial ad or public service message. Mobile Billboards will quickly and affordably expose your advertisement to a large audience. 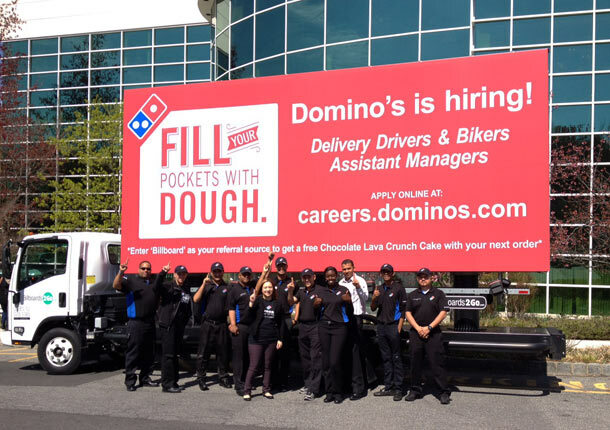 Either parked in a prime location, or slowly cruising in heavy traffic, our eye-catching mobile billboards offer targeted exposure to your most desired demographic. 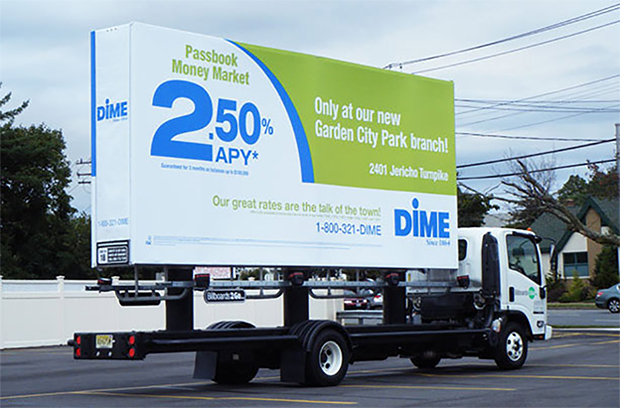 Mobile Billboard advertising is a proven, high-impact visual format, that is easy to buy and manage, allowing you time to focus on other important aspects of your business. We offer larger-than-life engagements that can’t be skipped, blocked or overlooked, and is never viewed by bots. Our unique advertising media builds brands, and “drives” transactions. 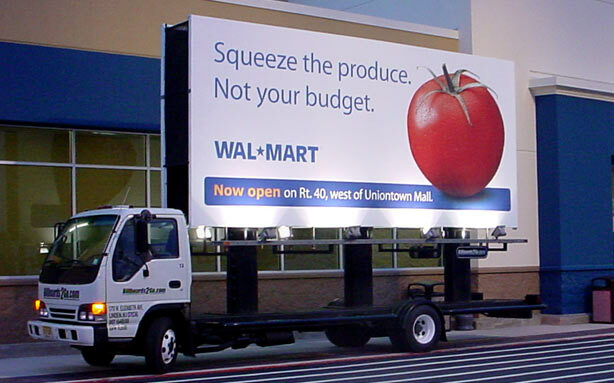 Budget wise, our mobile billboards are more affordable than TV, Radio, or Newspapers for reaching a geographically defined market. 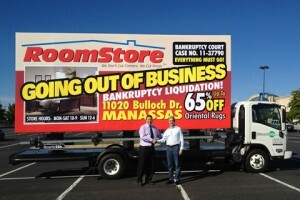 We’re not media middle-men… Billboards2Go.com owns and manages a growing fleet of Mobile Billboards. Only our unique mobile billboards use adjustable-height signs that can quickly elevate to an amazing 18 feet high with a push of a button. (Each unit offers about 500 square feet of message space.) 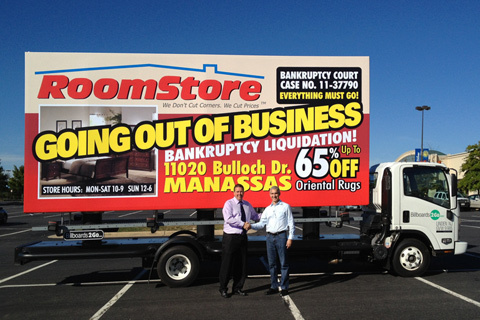 When used strategically, our billboards attract more viewers than any other type of mobile ad. Our main facility is located near Newark Airport. We service the New York, New Jersey, Connecticut markets, and beyond. We guarantee to maximize the exposure of your advertising message, along with maximizing the value of your media budget. Please review the entire website for helpful information, and especially enjoy our comprehensive Photo Gallery page to see many more client photos.